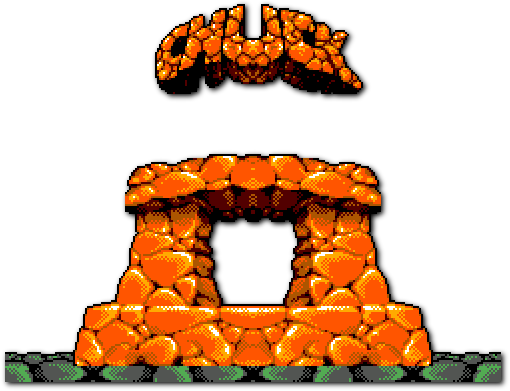 This is a typical bit of late shovelware onto the SMS, it’s a port from the Amiga/Mega Drive/etc sequel to Chuck Rock. The first game wasn’t brilliant - the only thing going for it was the “humorous” Flintstones-esque setting - but the sequel was worse, and it suffered from being ported to the SMS. Nevertheless, it’s an interestingly detailed game, with a lot of graphical variation and levels that aren’t too “square”, which makes it nicer to look at than to play. It’s not appalling to play, just not in any way outstanding. Chuck Rock, your father, has been kidnapped by Brick Jagger, so now you have to go and rescue him.